Sony Mobile is a wholly owned subsidiary of Tokyo-based Sony Corporation, one of the leading global innovators of audio, video, game, communications, key device and information technology products for both the consumer and professional markets. 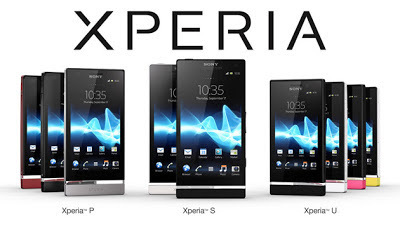 What does Sony Mobile has to offer? With fast phasing technology, electronics companies paving their way to make it on top of the market. Sony Mobile Communications now focuses exclusively on the smartphone market. If looking for latest Sony Xperia Mobile price that will fit in your budget, simply scroll down below and check out the latest Price List of Sony Xperia Mobile smartphones available in the Philippines. Please bookmarked this page as we give you the price of much awaited and precision engineered Sony Xperia Z, that will arrived in the Philippines. *images credit to Sony Mobile. *Price may change without prior notice. Prices are based from online gadget websites and other gadget stores from shopping centers in the Philippines. Nokia Asha 310 was recently unveiled by Nokia as part of expanding its Asha smartphone line-up. 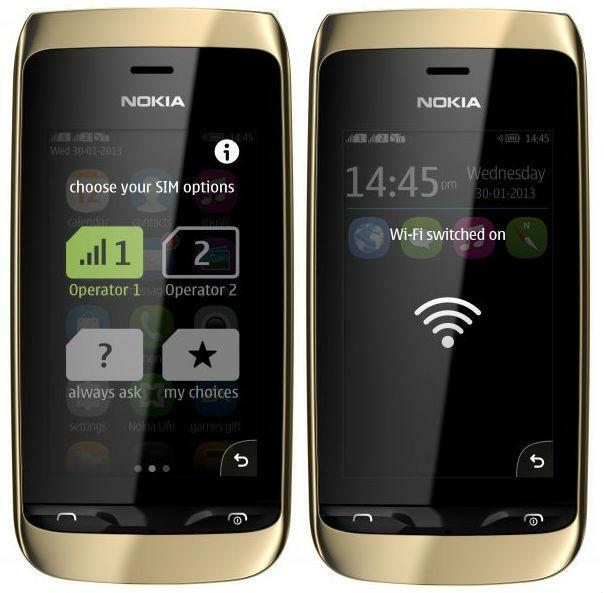 Nokia Asha 310 is the first Wi-Fi enabled phone among the series to offer dual-SIM functionality. Nokia Asha 310 is a full-touch device sporting a 3-inch WQVGA (240 x 400) capacitive and scratch-proof display. Featuring a 2-megapixel rear camera, Nokia Asha 310 is supported with 128MB internal memory and has a microSD card slot to cater storage expansion of up to 32 GB where Nokia will include a 2GB or 4GB card in the box. The handset is integrated with email, Facebook and Twitter. 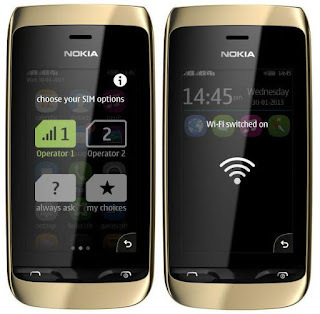 In addition to Wi-Fi capability, Nokia Asha 310 has a dual-SIM switching technology by which Nokia referred to as 'Easy Swap' and has put the secondary SIM slot on the side of the handset which will allow users to insert the second SIM without turning off the phone. LG announced ahead of MWC 2013 that it will unveil the upgrade of its Optimus L Series Android line up into Optimus L Series II. The upgrade will include the successors of the LG Optimus L7, L5, and L3. On top of the line is the LG Optimus L3II, the updated L3, which remains a 3.2-inch QVGA IPS display but is now equipped with IPS technology and will be powered by a 1,540mAh battery by which the predecessor has 1,500mAh only. Meanwhile, the LG Optimus L5II is still a 4.0 inch device but will employ higher resolution of 800 x 480 pixels on which Optimus L5 has only 320 x 480 pixels. However, it is not mention if it is also intgrated with IPS technology. The handset's power is a bit boosted with 1,700mAh where L5 has 1,500mAh. The LG Optimus L7II features a 4.1-inch WVGA IPS screen, measuring 121.5mm by 66.6mm and is 9.7 mm thick and has 8-megapixel rear camera compared to Optimus L7 having 5-megapixel camera. The device will be released with Android 4.1 Jelly Bean and clocks at 1GHz dual-core Qualcomm MSM8225 processor. It is backed-up with 4GB of internal memory, 768MB of RAM and has a microSD card slot for storage expansion. It has a dual SIM variant that is quite larger and will be launched in Russia this week. The Optimus L7 II is powered with a 2,460 mAh battery which is larger than its predecessor's 1700 mAh battery. Samsung has finally announced the availability of the La Fleur Smartphone collections that ladies as well as men who want a softer side of their smartphones would surely love the more feminine touch of their Galaxy phone line-ups. The South Korean conglomerate's La Fleur 2013 collections includes Galaxy S3, Galaxy S Duos, Galaxy Ace 2 and Galaxy Ace Duos and the Galaxy S3 mini. Everything underneath the hood as well as the price point will be the same as their respective counterparts except that their skins will be painted with pink and red accents and floral motifs. La Fleur 2013 collections are expected to arrive in Russia on February 1. Worldwide availability is not yet announced. Apple (AAPL) has finally confirmed the availability of a 128GB version of its fourth-generation iPad tablet on 29 January. The 128GB iPad with Wi-Fi and iPad with Wi-Fi + Cellular models are equipped with twice the internal storage capacity of the previous 64GB models to cater even more content including photos, documents, projects, presentations, books, movies, TV shows, music and apps. The new slates are identical to its predecessors sporting same specs except for the available internal storage is doubled. 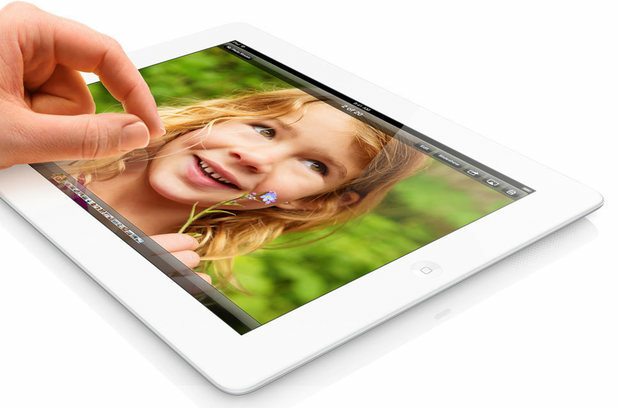 Apple 128GB iPad is integrated with a gorgeous 9.7-inch Retina display, A6X chip designed by Apple, FaceTime HD camera, runs on iOS 6.1 and faster wireless performance. iOS 6.1 includes support for additional LTE networks. This is said to be a stone’s throw away from an entry-level MacBook Air meaning it can perform almost as an actual computer. Apple 128GB iPad versions of the 4th gen iPad, in black or white chassis, is set to be available starting Tuesday, February 5. The iPad with Wi-Fi model will cost you $799 (US) while the iPad with Wi-Fi + Cellular model will be yours for $929 (US). 128GB iPad versions will be sold through the Apple Online Store (www.apple.com), Apple retail stores and selected Apple Authorized Resellers. 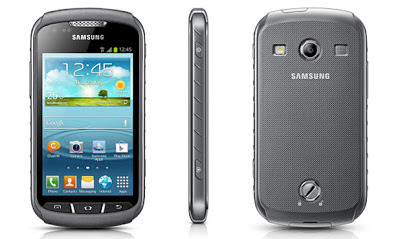 Samsung Galaxy Xcover 2 is another smartphone from Samsung Electronics Co., Ltd. The Korean juggernaut unveiled their new handset on January 25. 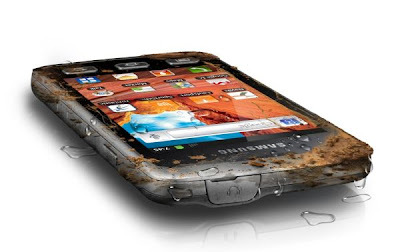 According to Samsung, it is crafted as durable and rugged making it an ideal smartphone for active explorers who are enjoying outdoor lifestyles and seeking a durable mobile device with essential smartphone capabilities. Xcover 2 is both and dust and sand proof and is also water-resistant that can hold its breath for at least 3 feet underwater in 30 minutes (IP67 certified) making it possible to capture your moments while in such depth. Galaxy Xcover 2 measures 130.5x67.7x12 mm and weighs 148.5 grams. Sporting a 4-inch WVGA TFT LCD display, the handset supports multi-touch technology and employs a resolution of 480 x 800 pixels at 233 ppi. The ruggedized handset is integrated with Samsung TouchWiz UI. It comes with a 5-megapixel rear camera and a VGA front camera. The device is pre-loaded with Cardio Trainer Pro workout application to help you create and monitor a training program and be able to check your progress and record your track and speed. Underneath its chassis, Galaxy Xcover 2 runs on Android 4.1 (Jelly Bean) and clocks at 1GHz dual-core processor with 1GB RAM and is backed-up with 4GB internal storage with external memory expansion support of up to 32GB. It is powered by a Li-ion 1,700mAh battery. In addition to its ruggedized features, user can take under water pictures with the help of a dedicated camera button. Galaxy Xcover 2 is equipped with a strap holder to avoid dropping the phone along with a battery cover lock as well. Other pre-loaded apps are Samsung ChatOn mobile communication service, Smart Stay that recognizes whether the user is looking at the screen, Best Shot which recommends the best shot from a series of photos, S Voice that enables users to control the phone using their voice and S Cloud. Samsung has not yet announced when this jungle-ready slab will be released nor how much it might set you back in Philippines but this Samsung Galaxy Xcover 2 smartphone will be available in the UK from March.